The team at billmonitor have analysed 28,000 mobile phone bills to find out how much data we’re really using and how consumers can cut their phone bills. billmonitor calls itself the UK’s first “mobile bill analysis engine”. Unlike traditional price comparison services (which I’ve blogged about before), billmonitor takes the more scientific approach of analysing your online phone bills to work out how you use your phone rather than simply asking you to provide figures. That approach means they’ve got real numerical data on your phone usage: the calls you make, the type of calls (landline, mobile or international) and how much data you use. Using these bills, the service then makes a recommendation on the best value phone tariff as well as any add-ons you might need. The smartphone revolution: how much data do we really use? What could the mobile phone networks do to help? Hi Nick! Can you start off by telling us a little bit about the work that billmonitor does and the research that billmonitor recently carried out? match your usage and preferences to exactly the right new contract out of all the 8,368,442 contract combinations current available in the market. In between we do some fancy maths forecasting to predict the correct safety margins for your situation and the likelihood of you needing any additional bundles. How much is the UK wasting on its mobiles? UK mobile subscribers waste £4.899 billion per year. How much is the UK spending on its mobiles? £3.47 billion spent on charges outside of allowance, despite customer restraint. How does the UK use its mobiles? Precisely when and how the UK uses its mobiles – the surprising truth about our mobile behaviour. It’s this last one that I believe we’ll be talking about today, especially about mobile data – so let’s get going! A lot has been said in the industry about the rapid growth of smartphones, the “application revolution” and the increased usage of social networking sites such as Facebook on mobile phones. Do you find that most consumers are now using smartphones and mobile data on a regular basis or do we still have a way to go? Good question – unfortunately, there’s really no way for us to tell exactly how they’re using mobile data as billing information only includes the amount of data used – not what it was used for. As far as smartphone usage goes, we find that roughly 30% of users are actively choosing a smartphone for their next mobile contract but this in increasing every month. Regarding usage, what we’re seeing in any given month is that roughly three quarters of customers use mobile data, with the average amount consumed per mobile data user being 147MB/month. However, this figure belies the range of usage which, although weighted towards customers using less than 20MB (see graph below), has a significant long tail that extends up to customers using somewhere in the order of 6GB in a month. This tells us that a lot of users are still using data scarcely – mostly for e-mails and low data-usage activities – while many are using much, much more. 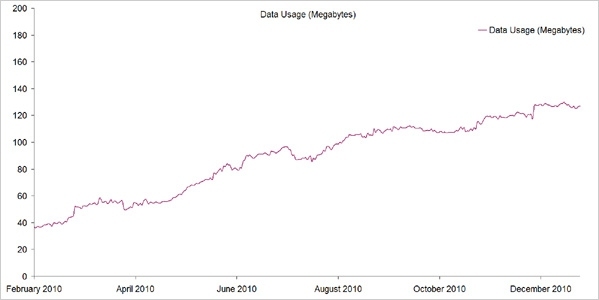 With regards to rising smartphone usage, have there been any major trends in data consumption over the last 6 months? Do you find that consumers are regularly exceeding their download allowances? Figure: Histogram distribution of the amount of data consumed by users over mobile networks. Note that downloads over wi-fi are not measured in this figure. Credit: billmonitor. There has definitely been a trend towards higher data usage – in fact it’s more than doubled over the last year. The above graph shows what’s been driving that growth over the last 6 months. Essentially, although more people have started using mobile data and this makes some difference, the real growth has come from users who were using less than 20MB but have now started to consume more – in some cases, considerably more. Average data usage per customer has been increasing over the last 12 months. Credit: billmonitor. We believe this growth has been driven primarily by customers buying smartphones, which enable and facilitate much larger data usage. With a basic phone you may just be using your mobile for reading e-mail but once you own a smartphone, you can start browsing, streaming, downloading apps and all the other wonderful stuff that smartphones allow. However, this is not true for all users and it’s not as stark as many commentators make it out. The graph also shows that less than 5% of customers as of January 2011 (4.61%), were using more than 500MB – the “fair usage” on many networks. That’s still 1.65 million customers but it may be less than expected given the media furore when the limits were introduced last year, when the numbers of users exceeding 500MB were even lower. What is true is that data usage will likely continue to increase over the coming few years and individuals may find their own data usage increases gradually during that time, although it’s unlikely average data usage will top 300MB for quite a while. However, for the minority that do exceed that 500MB mark, it’s great to see operators like O2, start pricing their tariffs accordingly and other operators like Three provide 1GB almost as standard. Given the confusion about data usage, do you have any tips for consumers who want to make sure they’re on the right data tariff? You’re right – there is likely to be confusion. It’s hard enough choosing the right number of minutes for your tariff, let alone choosing your data allowance. Over half of those billmonitor sees on the wrong contract have chosen too many minutes for how they use their phone and there’s a danger that if operators begin metering tariffs primarily based on data, customers may begin to make the same error (or worse), as mobile data is notoriously difficult to estimate. However, in the short term, since, as we’ve seen, it’s relatively unlikely any customer will be exceeding 500MB, anyone who finds they use mobile internet services regularly even in small doses, is likely to benefit from a data allowance of some kind and need not worry unduly about exceeding their limit. Paying per MB is almost always higher than the monthly amount paid for a data bolt-on. For those who do exceed 500MB, it’s worth looking at the increasing availability of higher data allowances from O2 or Three. If networks do start bringing more tiered data tariff levels below 500MB (as O2 have started to do very recently), customers will have to rely on looking over their previous months’ bills to see how much data they’ve used and estimate their future usage that way. Naturally, getting the right data tariff and estimating your usage is something billmonitor can definitely help with. 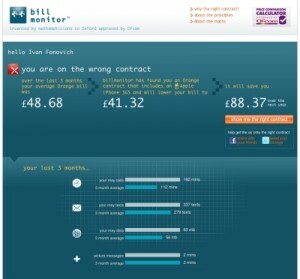 billmonitor analyses your online bill and looks for cheaper tariffs. You mentioned that billmonitor analysed 28,000 bills in the process of carrying out the research. Could you tell us a little bit more about how the study was conducted? The results in the report were based on statistical analysis of 28,417 anonymised bills from customers with mobile contracts on O2, Orange, Vodafone and T-Mobile covering usage over the last 18 months. 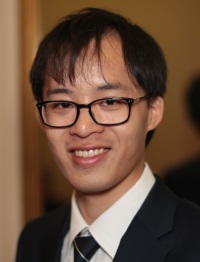 The analysis was carried out by the billmonitor team together with billmonitor’s science advisers, Professor Chris Holmes and Dr Nicolai Meinshausen (both from Oxford University). What key changes could customers make to cut their phone bill? Make sure you don’t have too many minutes for how you use your phone. Check your last 3 months’ bills, if you’re over halfway through your contract and you never use your minutes, ask to move down. If in any doubt, billmonitor can work out how many minutes you need to be safe without overpaying. But make sure you have enough minutes, data and texts at the same time. Networks always allow you to move up if you need higher allowance. It’s better to be in a position to need to move up, rather than down as you have more flexibility but once you exceed your allowance, costs do start racking up fast, so be vigilant. Despite 24 months being a long time, 2-year mobile contracts are by far the best value. Make the right choice for tariff, network and bundles and you’ll pay the least with a 24-month contract. Here are some cautions to bear in mind, however. With £1.36 million spent on it every year, roaming is the single largest spend area outside of tariff – get the right bundles before you go abroad, switch off data except when absolutely necessary and use alternative communication means where possible. 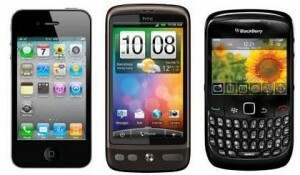 Do you really need a new handset? Consider keeping your current handset a while longer and choosing a SIM-only contract. If every subscriber were to decide to choose to go SIM-only on any network – 96% would make an average saving of £250.44. How can the networks help? Finally, having spent a lot of time analysing a wide variety of (incredibly confusing!) tariffs, what changes would you like to see the networks implementing in order to simplify things for the consumer? UK consumers spend £1.36million each year on roaming so make sure you’ve got the right bundles. Allow more downwards tariff flexibility for customers. All networks limit how far customers can move down in their tariff – probably because they realise it’s the most common mistake customers make and it’s a source of ongoing profit or, from the customers perspective, ongoing waste. Given that operators allow customers to move up at any time, we feel the same courtesy should be extended in the opposite direction. Provide better guidance for choosing the right contract, rather than focusing on upselling the “best” (ie. 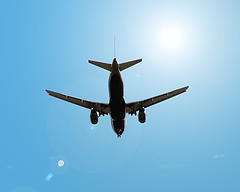 all-inclusive – and probably more expensive) tariffs, that may not be suitable. The right contract is where a customer pays no more than they should for how they use their phone. As it’s so complex and causes so much customer frustration, you’d think at least one operator would spot an opportunity to help customers in this regard, keeping them happier and more loyal. Instead, the same mistakes are allowed (perhaps encouraged) again and again – leading to an accumulation of ill-will and misinformation that is unhelpful for customers and often for the networks as well. Better bills. Simply, this means bills that are more helpful and easier to understand. As this is our bread and butter, we have a plethora of suggestions to make here. For example, an annual mobile bill summary that really educates the customers how much they’ve spent over the course of the year, not just each month. Couple this with an annual “bill consultation”, where customers are helped onto a better deal for them and led through savings possibilities (not just a sales pitch). Easy-overview infographic bill data presentation, as well as the existing line-by-line breakdown would be helpful. How about actually having the customer’s contract end date clearly on display, so they’re aware of the length of their commitment? Finally, not all networks provide guidance on how much data usage customers have done – especially if data allowances become more stratified, this will be essential info. Morning-after bundles. This is a bit of an innovative suggestion – but we feel it would breed significant goodwill amongst customers, which would in turn lead to higher loyalty levels. Essentially, it’s a proactive offer from networks to compensate for roaming costs by retrospectively applying the savings from an appropriate roaming bundle (the idea could also apply to international or landline bundles, of course). The customer still pays for their calls via the bundle, but the punishing costs incurred are limited to what they would have been had they had the bundle in advance. Since it’s often hard to anticipate your usage when abroad, it seems unfair and punitive to charge customers the full, unmitigated costs – why not buck the trend and help customers rather than profit from their mistakes? Thanks for taking the time for sharing your thoughts on mobile internet and tariffs today! We’ll be keeping a close eye on the work being done over at billmonitor and are very much looking forward to seeing all of the future research which comes out of billmonitor! 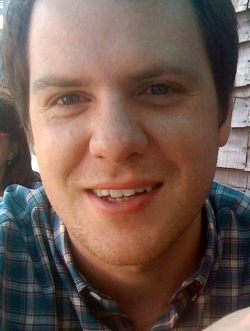 Nick Wright is Head of Marketing at billmonitor, a mobile bill analysis engine. 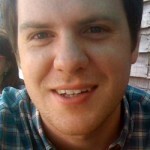 Nick writes about mobile money saving tips and debunks common mobile myths at the billmonitor blog. You can also follow billmonitor on Facebook and Twitter.